Alcántara Dos is part of Trasmediterranea's fleet of high speed catamarans and has a state-of-the-art navigation technology plus the most modern and innovative design which translates into making your trip not only comfortable, but also quick. 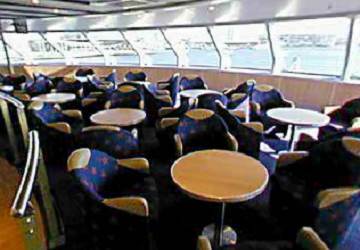 There are no cabins onboard the Alcántara Dos however reserved seating is available in both standard and club class. 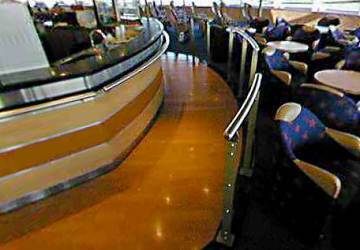 You’ll find bars with additional seating areas and tables as well as a selection of hot and cold food, coffee, juices and soft drinks. 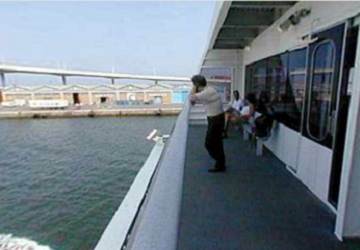 There are also snack dispensing machines that can be used at any time during the crossing. 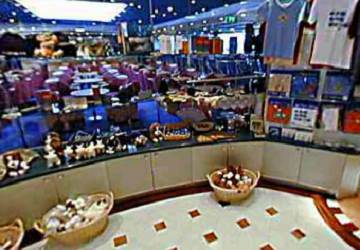 In the onboard shop you’ll find a range of different products such as clothing, souvenirs, books, magazines, confectionary, sweets, perfumes and jewellery. There’s a lift connecting the parking area with the passenger deck. 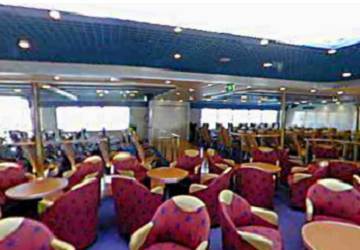 If assistance will be required onboard then it is advised to inform us prior to booking to make sure that your needs can be accommodated. 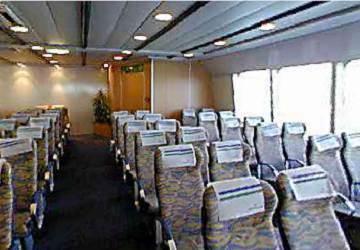 Please Note: Whilst we have taken great care in making our Alcántara Dos guide as accurate as possible, onboard facilities, services and entertainment may vary depending on the date and time of year that you travel, facilities mentioned may change without notification and ferry companies reserve the right to operate vessels other than those mentioned at time of booking without prior notification. A long yet safe & pleasant journey during high winds. 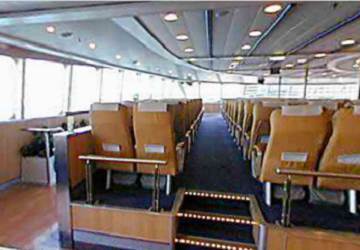 Valencia Ibiza and Ibiza Valencia: the journey was delayed by a day, but the company offered us the cabins. The staff at the bar is very nice. I'll use this company again. Apart from the lack of sofas in the inside and longer opening times in the café, it has been a pleasant journey. The entertainers contributed to this even though the people were not very animated. The crossing took 4h instead the 3h which were advertised on the ticket. 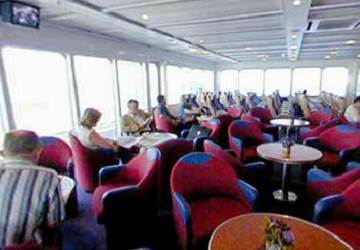 Plus, the category club seats were no longer available on the boat. Although we were informed and refunded the day before, it's very disappointing. 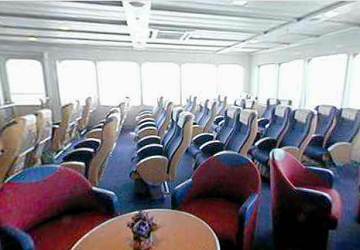 The ferry was very old and unconfortable, we wouldn't renew the experience with this company. clean, nice environment, spacious, on time. i will use it again. Everything was perfect. A lot of efficiency. Everything was very good except for the food. 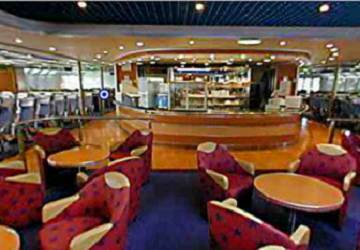 Punctuality was fantastic, as well as the boarding and disembark, which were really organised. 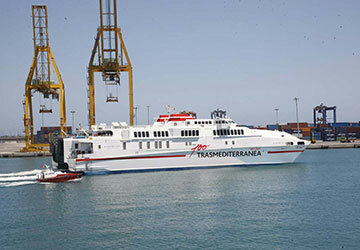 My only complaint is the quality of the vessel itself, which is much worse than the one travelling to and from Melilla.